The sun shines approximately 239 days a year in Lisbon, making it the sunniest capital in Europe. The city enjoys a Mediterranean climate and is known for its unique light, white cobblestones and yellow trams. Lisbon is a cosmopolitan city and yet it stays deeply grounded in its history and traditions. At night, you can easily find places to hear Fado, recognized by UNESCO as an intangible heritage of humanity. Another UNESCO world heritage site, Sintra, as well as jet-set coastal Cascais are just 30 minutes away. There is always something happening in Lisbon, from major concerts to film and music festivals. It has a wide range of cultural attractions, bars and restaurants with excellent cuisine. Being located on the Tagus river and by the sea, Lisbon offers the opportunity for sailing, surfing and kitesurfing. The good weather ensures one can practice sports such as jogging along the ocean promenade, hiking and golf throughout the year. For those seeking peace or adventure, the rugged Atlantic coast with its wild beaches is just 35 minutes west of Lisbon. 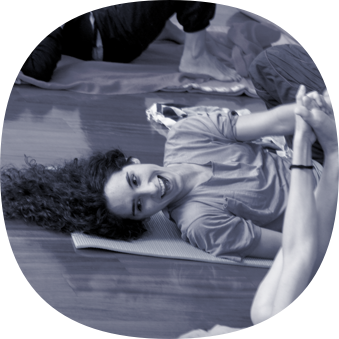 Lisbon is the perfect option for combining Feldenkrais with culture, nature and sports activities, experiencing a degree of freedom that is difficult to match elsewhere. The first training year is divided into 4 segments. Years 2, 3 and 4 of the program have 3 segments per year. One segment in November/ December, one in April and one in July.